Here are answers to all your burning questions about one of America’s favorite red wines. Merlot is one of the world’s most popular red wines, and America’s second favorite after Cabernet Sauvignon. Known for its soft, sensual texture and approachable style, it’s made from red-skinned grapes that can adapt to a variety of climates to produce food-friendly wines in many price points. Merlot can be velvety and plummy, or rich and oaky. There’s something for everyone, which is why Merlot is adored. The word Merlot is French for “the little blackbird.” Merlot also refers to a red grape variety used to make wine around the world. What does Merlot taste like? Merlot is known as a chameleon because it adapts to many climates, taking on the character of both its location and winemaking techniques. However, great Merlot is not as easy to grow as people thought, leading to overplanting and an abundance of poor quality wines. Typically, Merlot is a dry, medium- to full-bodied wine with moderate acidity, moderate to high alcohol, and soft but present tannins. The best Merlot taste has a range of flavors, ranging from graphite, herbs and blackberries, to black cherries, plums, and cocoa, often layered with notes of clove, vanilla, and cedar when aged in oak. What is the color of Merlot? Merlot has a red color because it’s made with red-skinned grapes. When youthful, wines can be semi-opaque to opaque, and deep ruby red. The color is generally lighter than Cabernet Sauvignon and deeper than Pinot Noir. One indicator that you’ve got Merlot in the glass is the glint of brick/orange tones on the rim. Merlot color changes with age, losing pigmentation and brightness, and turning garnet. 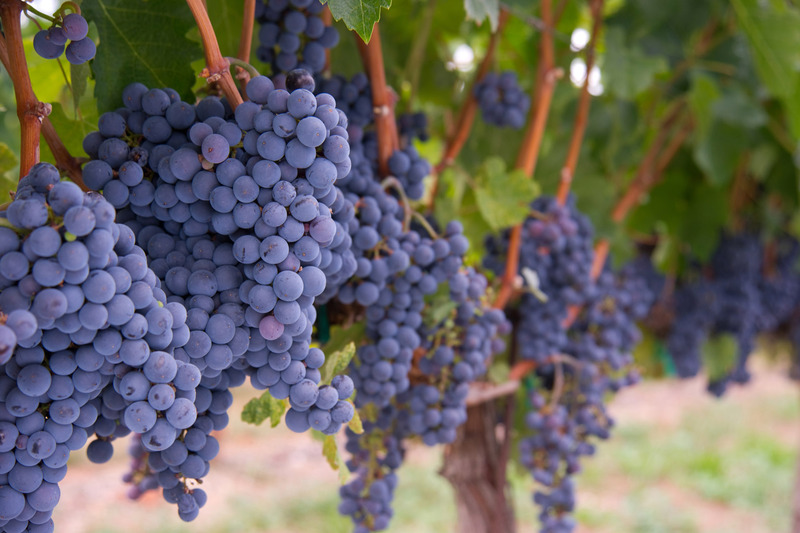 Though not very common, Merlot is also used to produce both rosé and white wines. Why did the movie Sideways make Merlot infamous? For years, the wine industry has debated the effect Sideways had on Merlot sales. Certainly, it’s hard to measure whether it made Merlot famous for being bad. There are three camps of thought on this. The first argue that rather than ruin Merlot’s reputation, the movie inspired a new audience of Pinot Noir drinkers who merely swapped one red wine for another. The second argues that the movie didn’t influence the decline of Merlot because Merlot was already on the way out due to overplanting and the proliferation of bad wines on the market. A third camp argues that the disgust for Merlot shown by the lead character, Miles, did, in fact, turn a generation of wine drinkers off of Merlot. Regardless of the effect the movie had, the bottom line is that bad, good and sublime Merlot exists, and because of the latter, Merlot is making a comeback. How much alcohol does a bottle of Merlot have? The alcohol in Merlot depends on where it’s grown, as climate influences ripeness, which influences alcohol levels. Merlot from cooler regions like France often have 13–14% alcohol by volume (abv), but can approach 14.5% when it is grown in a warmer climate such as California, Chile and Australia. Is Merlot sweet or dry? Merlot is usually made in a dry style. Keep in mind, the impression of tasting ripe fruit flavors like cherries and plums is not the same as tasting sweetness due to sugar content. A dry wine means that after the grapes are pressed, the sugar from the grape must is converted into alcohol by yeast. When all, or nearly all, the sugar is converted, it creates a fully dry wine. Sometimes, a little sugar called residual sugar (RS), is left behind. This might be purposeful, to give a hint of richness and sweetness to the wine, or it might be because the yeast didn’t finish the fermentation. A few grams per liter of RS is still considered a dry wine, however. How many calories and carbs does Merlot have? Merlot is typically dry. Of course, wine with little to no sugar doesn’t equate to wine without calories. Alcohol has calories. Typically, a 5-ounce serving of Merlot has around 125 calories, or 625 calories in a 750ml bottle. If a Merlot has a touch of residual sugar, the wine will have carbohydrates or carbs, but only a small amount. Dry wines usually range between zero and 4 grams of carbohydrates. How should I serve Merlot? Like all reds, Merlot has an ideal temperature range. The notion of serving reds at room temperature is outdated because people’s homes vary drastically in temperature, from cold in winter to hot in summer. Regardless, the average house at 70-75°F is still too warm for red wine. And when Merlot is too warm, the alcohol tastes hot while the flavors are muddled. Too cold, and the aromas and flavors are muted. The ideal temperature range to serve Merlot is 60–65°F, which can be achieved by 15 minutes in the refrigerator. If you don’t finish a bottle of Merlot, replace the cork and stick it back in the fridge. The flavors will stay fresh for 2–4 days. Beyond that, the wine will start to oxidize. At that point, toss it in a braised meat or vegetable dish. What foods pair best with Merlot? One reason people love Merlot is its versatility, thanks to the range of styles and prices on the market. Fruity, easy-drinking Merlot goes great with white and dark meats from chicken, turkey and pork, as well as weeknight pasta, burgers, and pizza. Fuller-bodied, ripe and fleshy styles, often with higher alcohol, can handle fuller-flavored foods such as beef and lamb, hearty bean dishes, and game meats like venison and bison. Classic, savory styles such as right bank Merlot from Bordeaux go well with roasted meats, duck, and mushrooms. The key is to match the wine’s weight and flavor intensity with the weight and flavor intensity of the dish. Merlot versus Cabernet Sauvignon: What’s the difference? Good question. 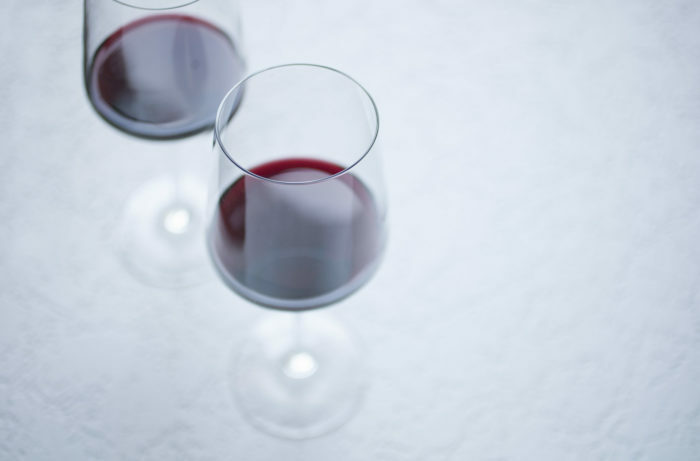 While Merlot and Cabernet Sauvignon are different grapes, in blind tastings, it can be hard to differentiate them, especially when grown in cooler climates. Why? 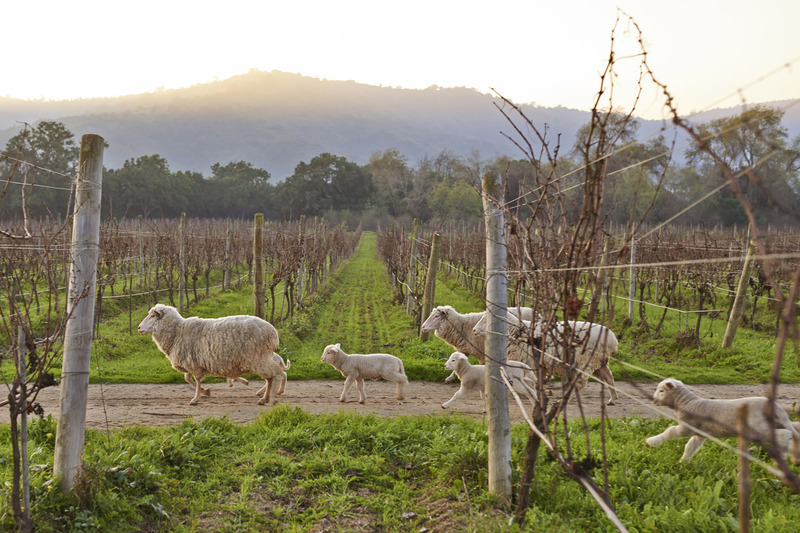 Because they come from the same family of grapes, sharing a parent, Cabernet Franc. Wines from this family have pyzrazines, aromatic organic chemical compounds that produce bell pepper and herbal notes that are more prominent in cooler regions. Plus, Merlot in cooler regions like its homeland of Bordeaux develops firmer tannins, more structure and savory character than in warm climates, making it easier to mistake for Cabernet Sauvignon. The two are often blending partners in red Bordeaux wine, Cabernet for its cassis, herbal undertones, and tannin structure and Merlot for its supple texture and ripe fruit. Merlot is usually cheaper, fruitier, and softer than Cabernet, and often perceived as less complex. What’s the difference between Pinot Noir and Merlot? Again, these are two different red grapes. Pinot Noir is a thin-skinned variety that makes wines of moderate color and alcohol, with high acidity, elegance, and perfume of red fruits (cranberries, raspberries, red cherries). Pinot Noir has long been famous with wine lovers for the haunting styles made in Burgundy, later embraced by mainstream American wine drinkers, notably after Sideways. Merlot has more tannin, body, alcohol, and a darker hue, and hails from the right bank of Bordeaux where it has been made famous by the wines of Pomerol and Saint-Émilion.